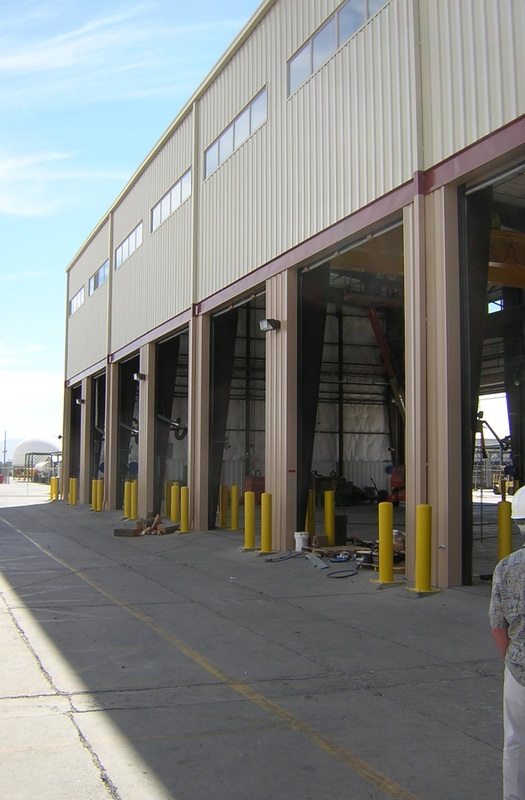 This newly constructed, design-build, pre-engineered building with high-bay operations space is for over-hauling and modifications of Marine Corps assets and equipment and low rise space for administrative restrooms/showers, break room and storage space. Built-in equipment includes two 5-ton overhead bridge cranes, ten various size dip tanks each with its own containment, overflow tanks, industrial waste piping, process boilers, process hot water distribution, emergency generator and industrial ventilation equipment. Special features include process piping, trench drains, and incorporating state-of-the-art sustainable photovoltaicd and solar hot water systems for reduced power and heating costs.